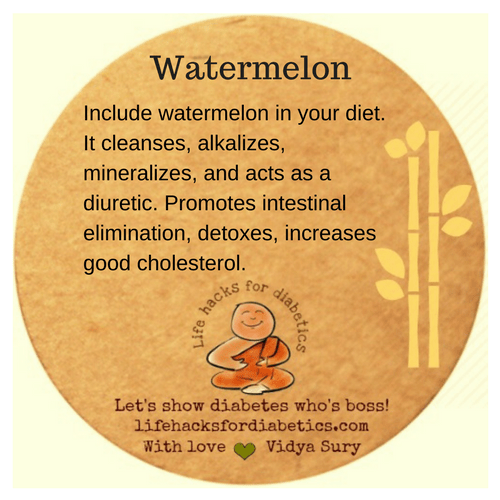 Include watermelon in your diet. It cleanses, alkalizes, mineralizes, and acts as a diuretic. Promotes intestinal elimination, detoxes, increases good cholesterol.